Thinking about going surf fishing for elusive Striped bass or hard fighting blue fish and can’t figure out how to get started? Let me help. Surf fishing is one of my favorite pastimes and I have been doing it for almost 20 years. Getting started and learning the art of surf fishing can be fun and easier then you might think. In this article I will cover the basic necessities needed to make your trip to the surf enjoyable and hopefully successful, so let’s get started. 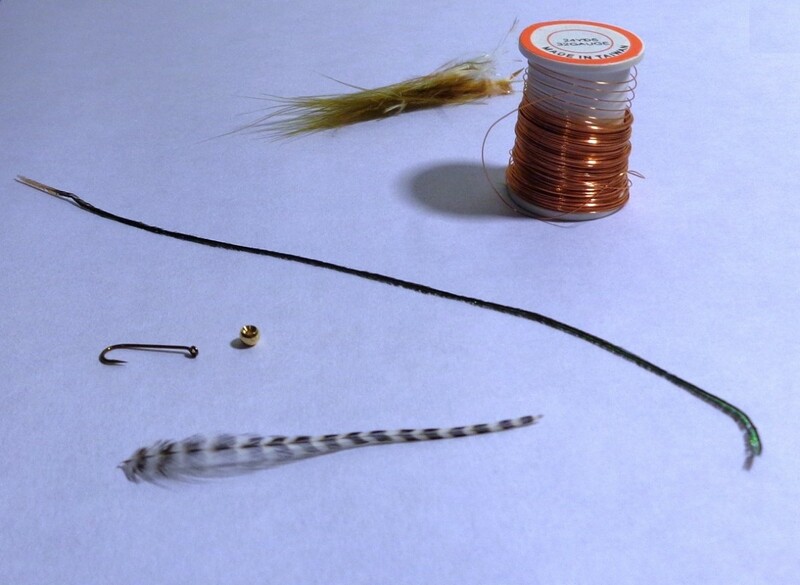 Spring is only a few weeks away and if you plan on catching fish in the surf you have plenty of time to get your equipment and prepare for the spring run. 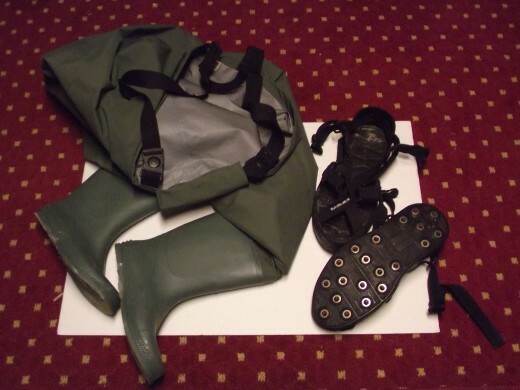 First Item to be covered is your waders. Your pair of waders will make or break your day at the beach. 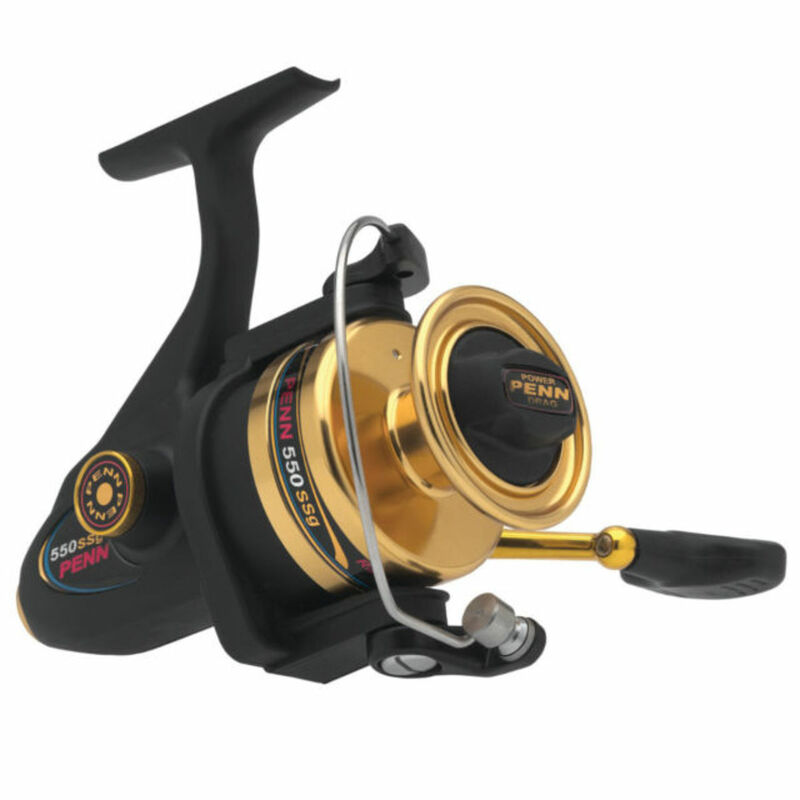 The pair you choose should be light weight and durable to withstand the rigors of salt water fishing. I will suggest the most expensive pair your wallet can handle. You will find the cheaper the waders are the heavier and bulkier they will be. Heavy waders put a strain on your shoulders and make fishing long hours uncomfortable. Waders that are light and breathable are by far a wiser choice. If you are planning to fish on jetties you will need a pair of Korkers. 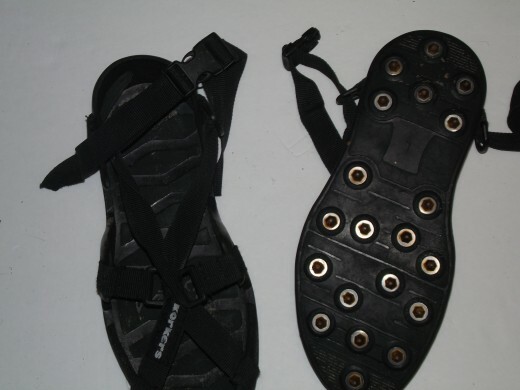 Korkers are studded cleats that attach to the bottom of you waders and are an absolute “must have” when fishing from rocks. Jetties can be as slippery as greased ice and I learned that from making the mistake myself when I was just starting out. I escaped serious injury but now never leave for the beach without them. There are a few different types of Korkers to choose from, avoid the Korkers with laces that you tie yourself. They will be cheaper than the type that comes with the plastic snaps. However they will undoubtedly come undone on a regular basis and you will spend more time retying then you care too. Next you will need a good surf bag. I personally have two bags; one bag is for bait fishing and the other bag is for plugs. When I head down to the beach I bring both bags/rods. On several occasions I’ve been bait fishing only to have Stripers chase bait and break on the surface far too many times wanting nothing to do with my hunk of clam settled on the bottom. Being able to switch gears and grab your plugging stick keeps you in the game and only increases your chances of taking home dinner. 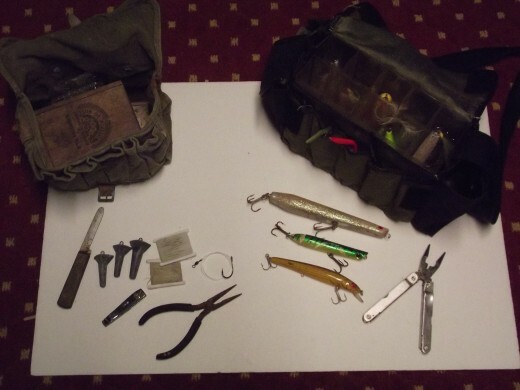 In your bait bag the following items should be found: nail clipper, needle nose pliers, string for tying on bait, Hatteras sinkers from 2 ounces to 8 ounces, connectors(to attach the weights), bait rigs and a good bait knife, I prefer a clam knife. The plug bag has compartments to hold your plugs neatly, you should have the nail clipper and pliers in this bag as well. That brings us to our next item, the fishing rod. Finding a good rod that you can handle and affectively cast is very important. Just like the waders, the rod will be bigger and bulkier the cheaper the price tag. I have a few suggestions here; you will need one rod for bait fishing and another for artificial lures. It is possible to get an all around rod for doing both but I wouldn’t suggest it. 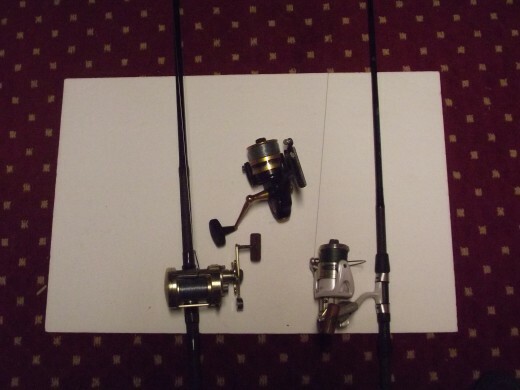 My bait setup is a one piece nine foot graphite rod with a line weight of 15-30 pounds and a lure weight of 1-3 ounces. I paired that rod with a Penn reel model 6500ssm spooled with 25 pound test monofilament. My plugging stick is an eight foot one piece graphite rod, medium action with a line weight of 6-17 pounds and a lure weight of 2 ounces. 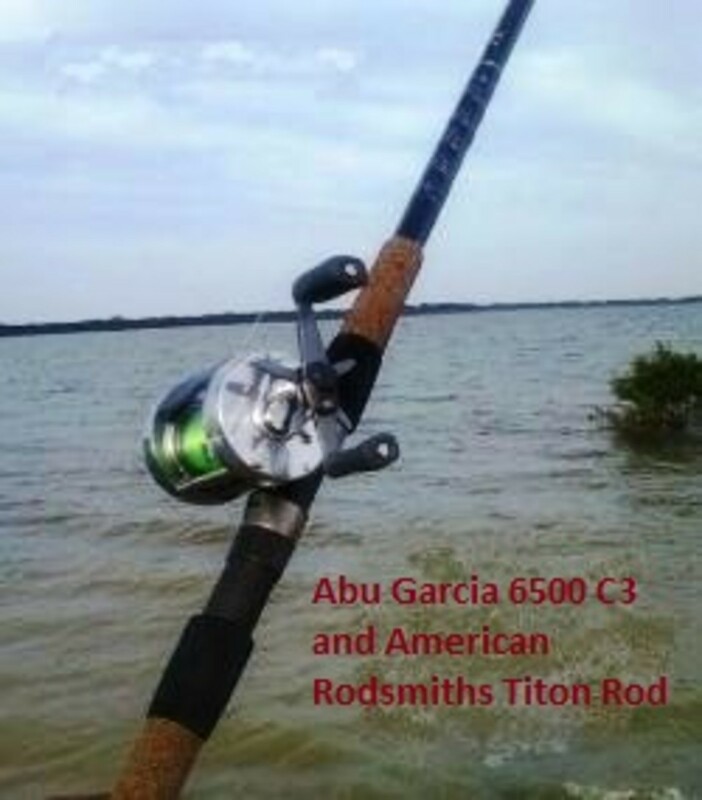 I paired this rod with a Shimano 5000. 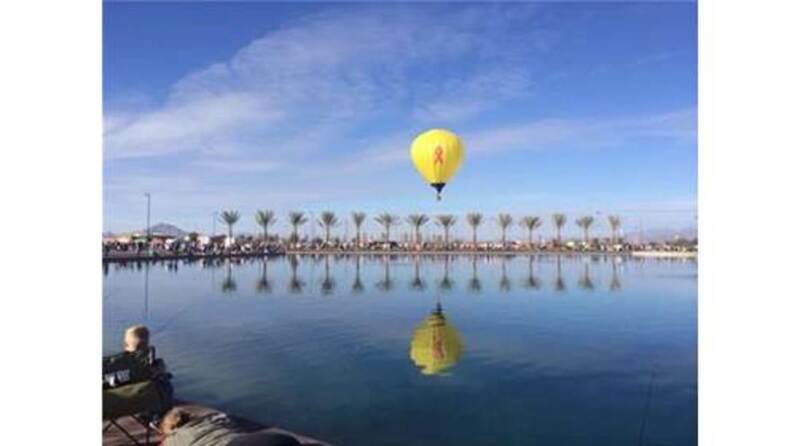 Both rods are well balanced and perform very well because they were set up to perform a specific task. Grab a good pair of sunglasses, a hat and head down to the beach, good luck….